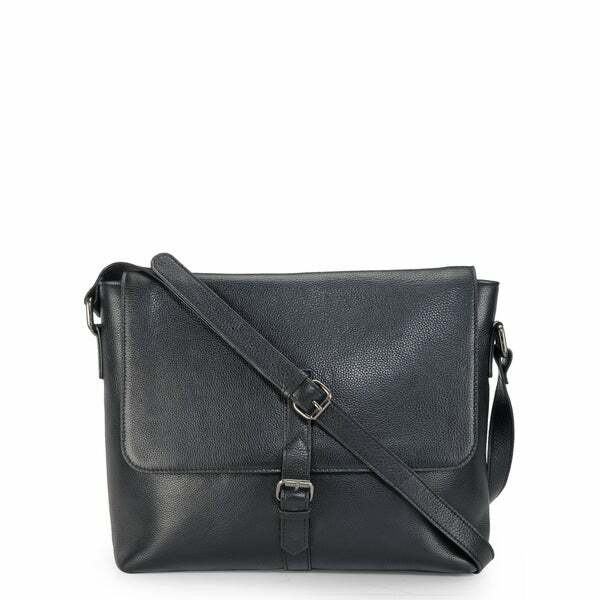 Good quality hardware elevates a handsome messenger bag shaped from rich textured leather that will stand up to daily wear and tear. Comes with ample space to fit in your day to day essentials, it has an ipad sleeve, multiutility slots and an iteresting printed lining. Story Behind the Art: Our creations are untouched by machine, and crafted by men. each one of our five artisans is allowed togive his full attention to the minutest element. from the texture and grain, to the size and width, no part of our material is left without scrutiny. genuine leather is clipped with unwavering precision a thousand times over till theperfect cut is realized. every piece is mancrafted by hand, in our own distinct style, with a delicate finesse that moulds separate pieces of our exquisite natural leather together as one, giving that unique look. setting leather trends has been our creed and it's a belief that reflects in all our distinct designs. we bring you the best in fashion every month, with moods, trends and silhouettes inspired from the fashion ramps in milan, paris, berlin, london, new york and tokyo. "It is hard to tell by the picture..... Is this snap closure or zipper?" The bag has a functional buckle closure, like a belt buckle on its flap. There isn't any snap or zipper closure. Messenger Bags Buying Guide from Overstock.com. Our guides provide customers with information about messenger bags.